A wonderful old red barn I photographed last week. I had to stand on the edge of snowbank right next to the road and hope no one hit me. Looking closely you can see the road at the end of their driveway running past the front of the house. One of the biggest challenges of shooting in the winter in New England on a country road is having no place to park or stand without risking life and limb. Slowly our snow seems to be dwindling. There's still plenty to be had as most spots are over a foot deep, but there is bare ground to be found here and there. They're talking about heavy rain on Monday which will help bring the snow pack down even further, but it's not good for basements, rivers, and streams. Or skiing, of which my younger daughter is planning on doing with friends both Monday and Tuesday. These photos were taken in East Kingston, NH. I'm not sure what this building used to be but currently it's a book store. In the distance is the United Methodist Church. How I adore small towns that still retain history and charm. Who knows what type of future they face but for now I feel lucky to be able to travel through them. As always thank you for stopping by. It still thrills me that so many of you enjoy seeing the world through my lens! Congratulations on your new domain name! Lovely images! OMG, are those candles in the windows of that beautiful red barn?! So beautiful, all of these images. I'm absolutely going to get my own domain name...if it's still available. And, I can find some time to do it. Thanks for the instructions. Happy Weekend and congratulations on your new name & your job, challenging as it may be. Congrats on snagging a domain name! WOo Hoo to Yooo. Love the little red shed. She's a beauty. Let's hope the New England states can hold onto those old buildings in many years to come... after all... it's history and what New England is all about. It is so nice to see history in a town. Too much is modernized and that does not always make it more esthetically pleasing to the eye! Wonderful images. That candle in the window is just superb. Ha, glad to know I'm not the only one who risks life and limb in the ditches. Oh, what lovely photos of the beautiful New England areas. Just love them! Congratulations on getting your own domain! Someone must have been inside to put the candles on, and no leave them unattended - an excellent touch for your photos! You are excused! :-D Life gets busy. Congrats on getting your domain. I have thought about doing it myself, but did not know the cost involved. Thanks for sharing the information. Sharon, congrats on the new domain name! I love these shots. I've never been to New England, but these shots, in my mind, are just so New England. Love the little lights in the windows! 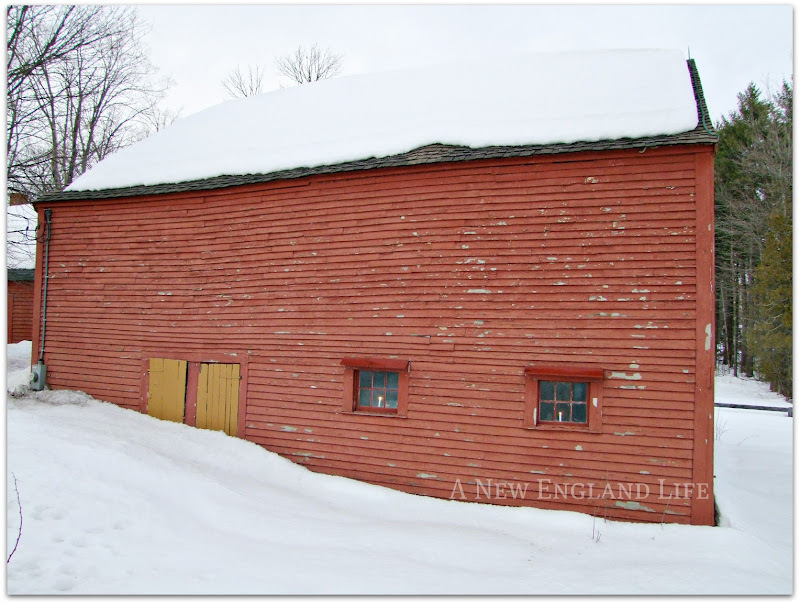 I love the red barns and white clapboard in New England. Congratulations on your domain name, Sharon! Sharon, so glad you were able to safely stop. So lovely, New England small towns in winter, or anytime really. IMHO, we have nothing that comes near their beauty down here. Are you kidding? I love seeing the world through your lens. That gull below - what a quintessential New England shot. Gorgeous pics. thanks for the tip! I always wondered how people got their own what is it?? --domain name! I learn something every day since blogging. I know well the take your life in your own hands phenomenon of taking photos in NE in winter. Glad you made it! Congratulations on the domain name Sharon! That's really cool! Love the lights in the windows of the barn. Glad you are getting work and staying busy, but man I don't envy removing wallpaper! Hang in there! I have to agree removing wallpaper...not fun. Thank you for sharing your photos with us, you never disappoint! Congrats on your domain name, by the way! I'm definitely considering it, seeing that it's very reasonable. Could you tell me some of the advantages of having your own url, though? Is it easier to find on a web search? My name is Laura, and I've been a bad blogger too! I think that old barn needs some of your scraping, sanding and painting! Congrats on the domain grab! Sorry I can't help with the daughter advice - these are the times I don't regret not having kids! I'm so glad your back. I haven't been blogging much either. 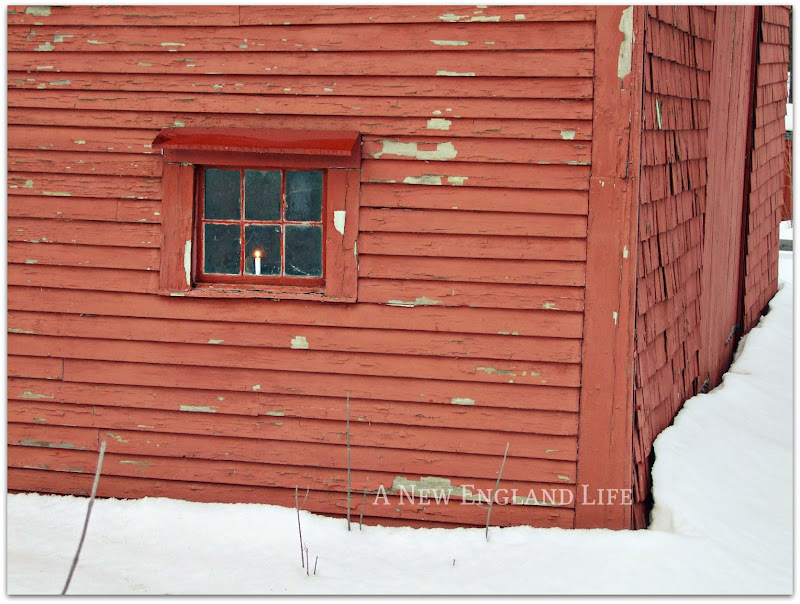 It is always so good to see your New England pictures and I get homesick each time! I also loved your previous post with Lily running on the beach. I just lost my 27 year old kitty and I am so heartbroken. He had been with me for 26 and a half years so we had a very deep bond. It was so hard to say goodbye. But it made me so happy to see your smiling Lily running and having fun on the beach. I hope you are enjoying your work and I can only imagine how your hands must be hurting. I've done a lot of painting and I remember my hands aching for weeks after. Take care. Just came back to tell you that your shed picture is not showing up for me. This is my third time back to try to view it. Hopefully it's just a problem I'm experiencing. Thanks for the info about the domain name ... I didn't know it worked like that! PS - I sure do know what you mean about parenting :) Hang in there! Great info on the domain name! Your photos are stunning! Have a wonderful weekend! Great news on the domain name - congrats! Beautiful barn pictures. Love the red barn! At first I didn't notice the candles in the windows until I scrolled back and they caught my eye. I've always enjoyed visiting NH, there's so much to see. Thanks for sharing these photos, as always, they're great! Great idea - the domain name! Congratulations on that. 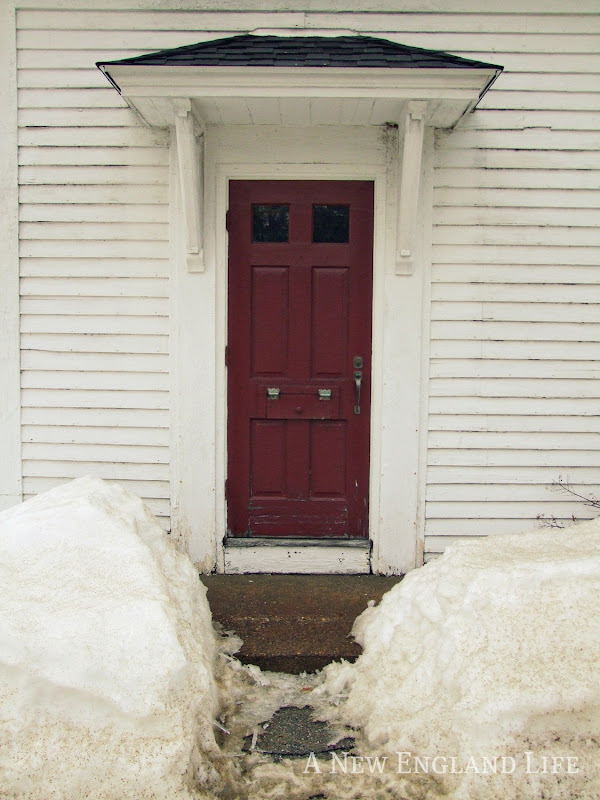 I love the photos you post of old New England buildings. 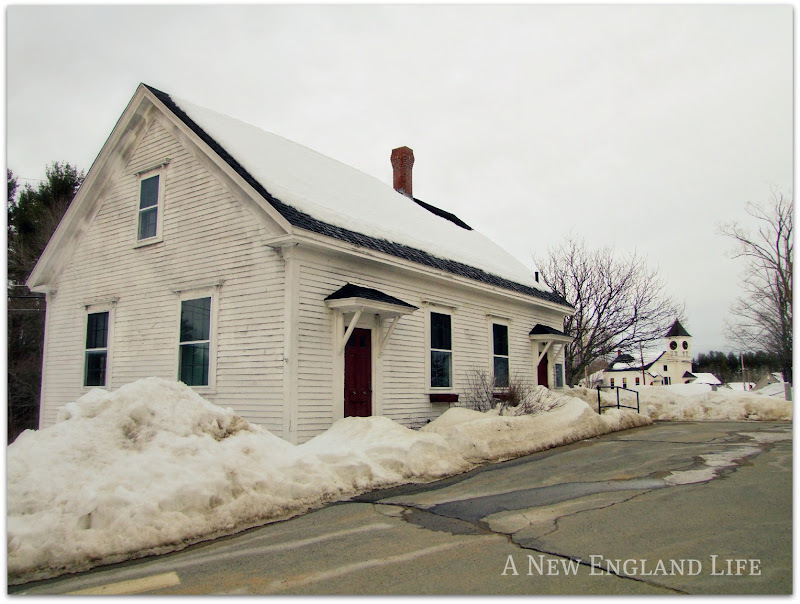 I have such fond memories of that part of the world - the buildings are iconic and instantly recognizable as from New England. 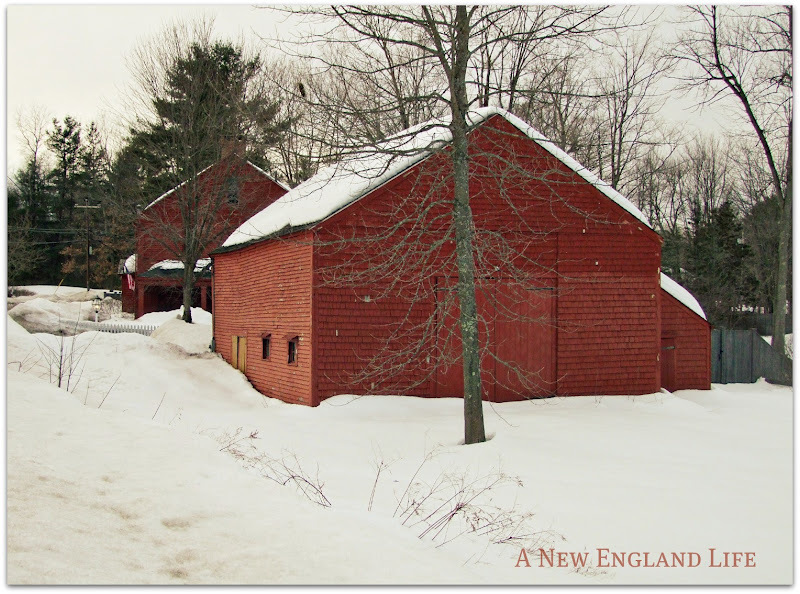 You have the prettiest barns in New England! It seems beauty abounds everywhere there. Hee hee..I am a bad blogger too..well not with the posting part..i always seem to do that...but I am finding less and less time to read blogs..and the bugs the heck out of me! Congratulations on your new domain name! Thanks for the info on how to go about doing it. It's a lot easier to do than I realized. Parenting teenage girls isn't easy. I wasn't too bad but my parents had a heck of a time with my younger sister. It was (mostly) over after a few years. But what years they were! As always, I love your pictures; they bring me right back to the land that I love the most (New England). Well I think you're a great blogger - because despite being really busy, you are still at least blogging for yourself (and for us, by default!). Congrats on the domain name too - that's so exciting! The white building in your photo used to be called Pound School. It was for grades 1-2. Boys used one door and girls used the other. The school was a dog pound before it became a school. My dad said as soon as they got more kids than dogs, they put the kids in the pound and turned it into school. Guess they let the dogs go free!